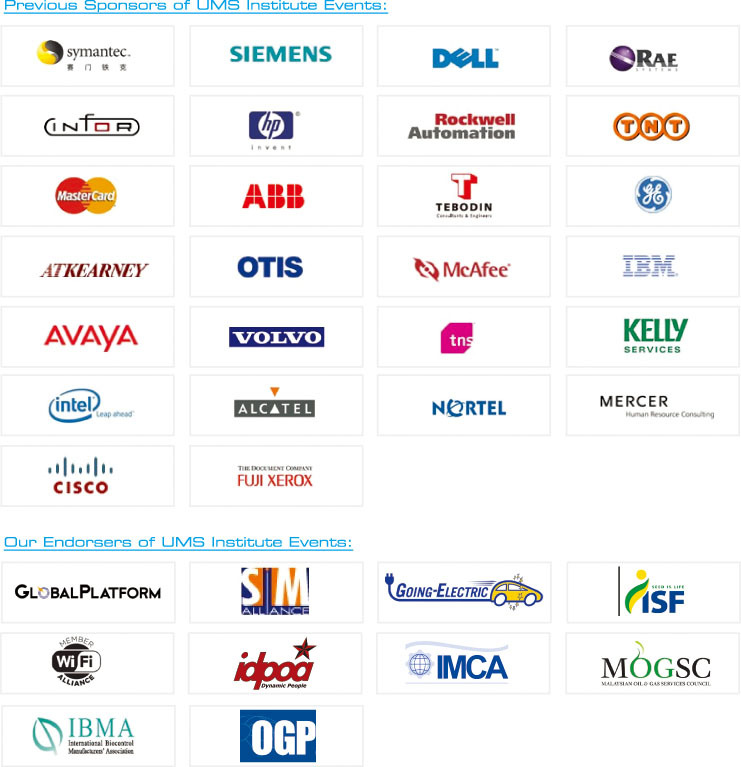 UMS Institute's delegates are high-level decision-makers in senior management positions from international blue-chip companies and organizations. In addition, UMS Institute also targets the major local companies across a variety of industries and professions. Aside from the strategic business information and analysis of global trends and local markets, delegates can easily gain access to exclusive networking opportunities. Our delegates' profile includes most of the Forbes 2000 companies.